Curated by Burton J. “Jimi” Brown, J.D. 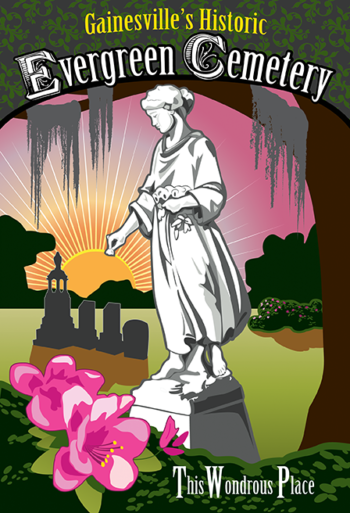 Ph.D. with Susan Stewart, this new history and art exhibition tells the story of the 53-acre Evergreen Cemetery fromits founding in 1856 and shines light on the many important historical figures for which it is their final resting place. 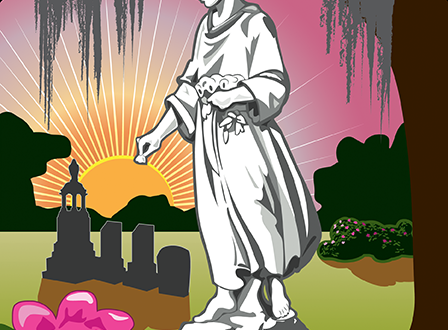 In addition numerous works by six of Gainesville’s leading artists… Frank Barone, Randy Batista, Eleanor Blair, John O’Connor, Bob Senesac and Anne Seraphine… interpret the great beauty and moving emotion of the site.